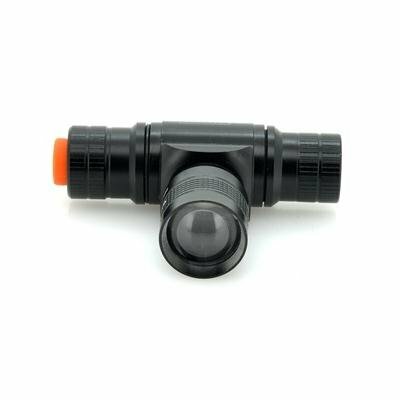 Successfully Added High Power Super Bright Headlamp - Focus Adjustable, 3 Modes, CREE, 160LM to your Shopping Cart. 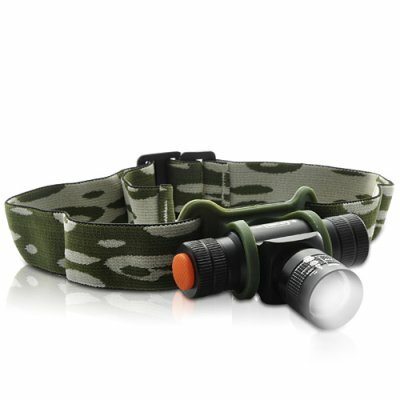 High Power Super Bright Headlamp will light up dark areas or your path in the night with pure white color. Designed ergonomically, this elegant headlamp fits any face and shape thanks to the adjustable headband provided with the package. You can conveniently combine it with any equipment or helmet you may need to wear for your job. Once it is set, if you want to modify the lighting angle, simply turn around the headlamp. To provide you with ease and comfort its weight is very light, which is essential for a device carried on the head. A good feature to let your kids camp in the garden and learn about nature instead of playing video games! As everyone has different needs, 3 lighting modes are available to select: strong brightness for maximum power, energy saving for long use and flashing option for those appreciating unusual ways. In order to get a visible image of remote things the focus can even adjust the dot pointing them! What more? A battery and its charger are included so that you are sure to get all the stuff to fully enjoy this awesome headlamp as soon as you receive it. Get this ultra powerful headlamp at a factory direct price and receive it within a few days, wherever you are located! All this is brought to you by the online leader of lighting and electronic products, Chinavasion. Yes, for the price cant beat it. Although l bought it from another fisherman who sold it to me here in Toronto Canada, new for $25. Great illumination yes, great price yes but the battery only lasts 30 minutes for me of use and that was fully charged. Everything, unbelievable for that money! Chargable batteries on board and charger. Camouflage Bag is small and very handy and nice. 3 functions one button to use light, very bright or weaker and flashing. where to buy when it's time to replace the battery 3.5V??? Headlamp itself seems well built. Plenty bright focus is great. real light on head. stays were your set it. Don't need a visor to protect your eyes from back light. Charger is weak. Could be easily repaired but no marking on parts Ie transistors are unmarked. No schematic or parts list available. No help from china vision here as well only solution offred is buy a charger. The headlamp appears to be made of good quality material. The design enables me to dip the headlamp on to whatever I may have in front of me. The three modes of light intensity are handy too. You also get a re-chargeable battery with the pack + a handy zipper to store it when not in use. The zipper can be attached to a belt or haversack. You also get a handy charger to recharge the battery. So overall, I think it was a very good buy. Small and convenient to wear. Good elevation angle adjustment. But in superbright mode batery life is about 1 hour.